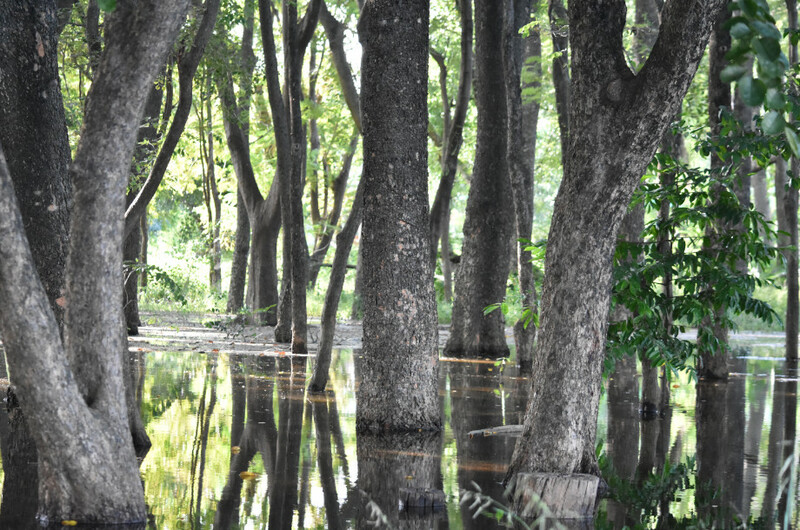 A few photographs taken in Phimai this month. 1. A rural scene only a few kilometres from the town centre. 2. 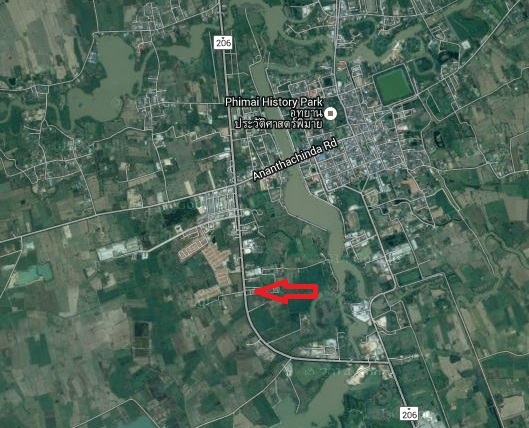 Phimai barrage dam gates fully open. 3. 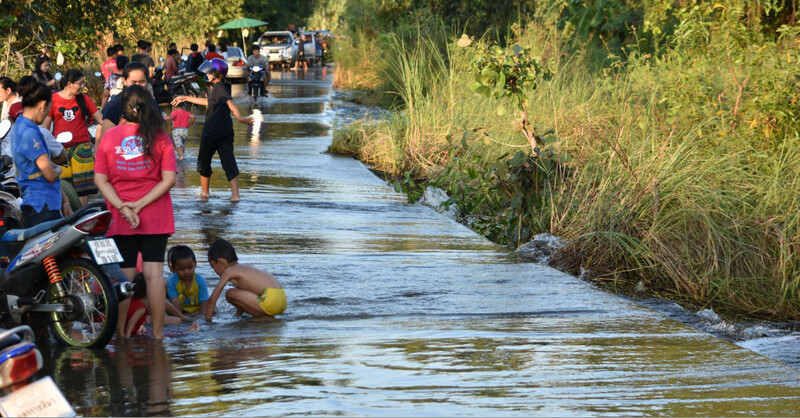 People having fun playing in flood water. 4. Inside the Phimai rice research centre. 6. 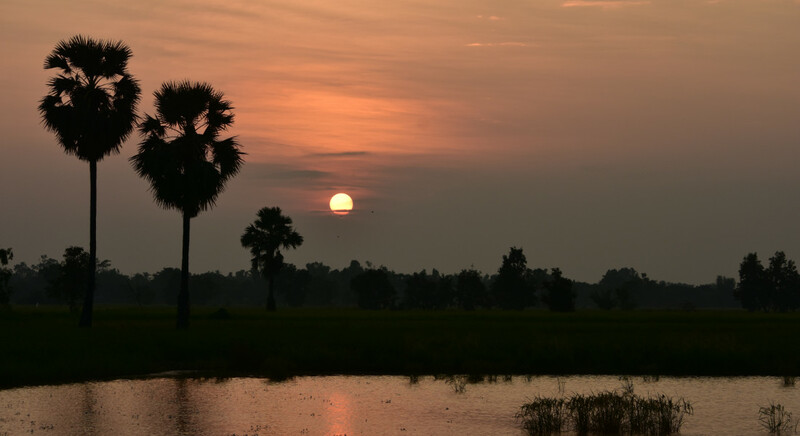 Sunset at the bypass junction – 22 October 2017. 7. Rural sunset – 24 October 2017. 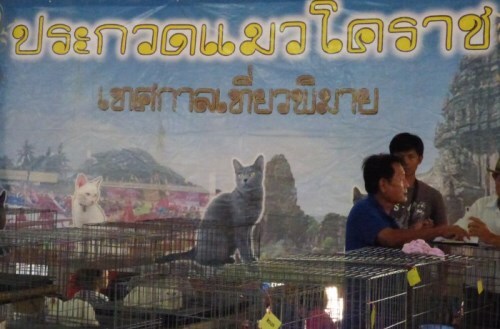 The police station in Phimai town has moved to a temporary location. It is now located at the old court building, about 1 mile/1.6km along the bypass from the old location. 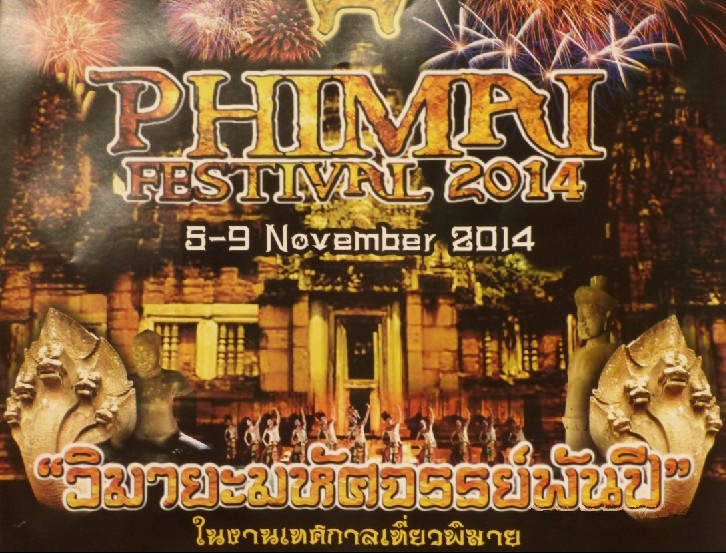 The new location is about 400m from the Phimai Inn and 500m from the PEA office, on the same side of the road. These signs (below) are visible from the bypass. The old police station has been demolished and a new one will be built in its place. 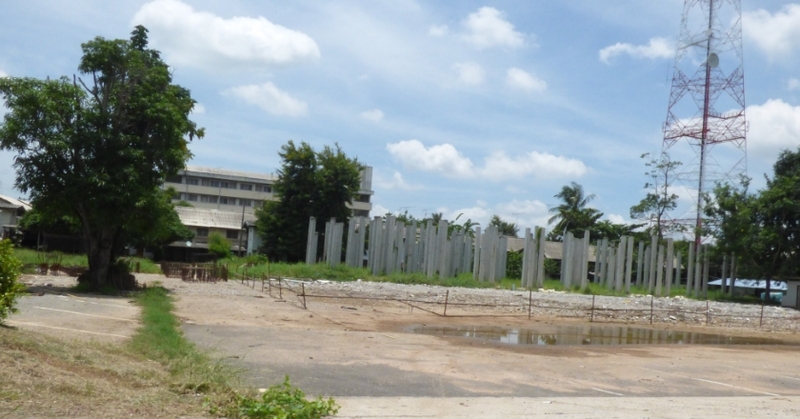 Phimai police station is expected to be at its temporary location for about a year or so. 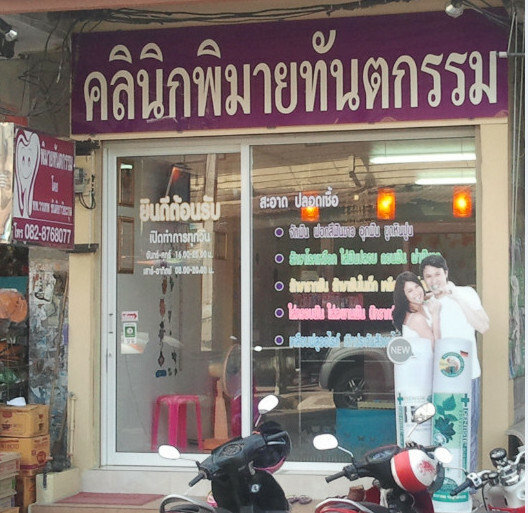 There are two private dental clinics in Phimai town: Phimai Dental Clinic and Dentist Sasirat’s Clinic. 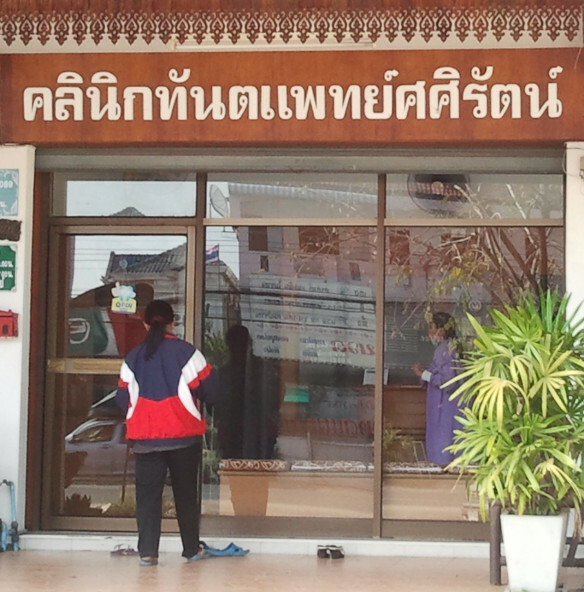 There is also a dentist in the state owned Phimai Hospital. 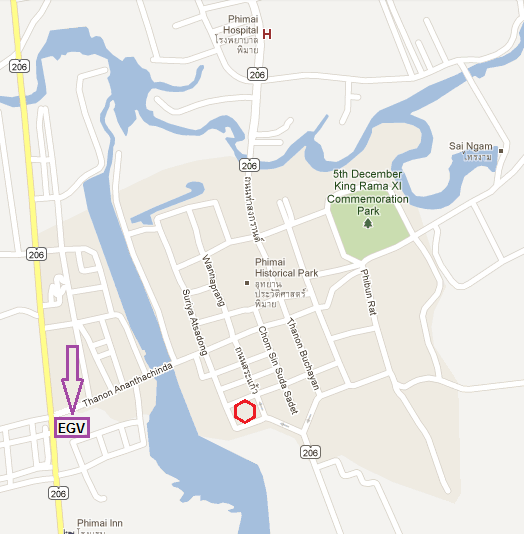 Phimai Dental Clinic (clinic phimai tanta-gam) is located on Chomsin-suda-sadet Road. Telephone: 082-876-8077. It is open everyday. Picture below. 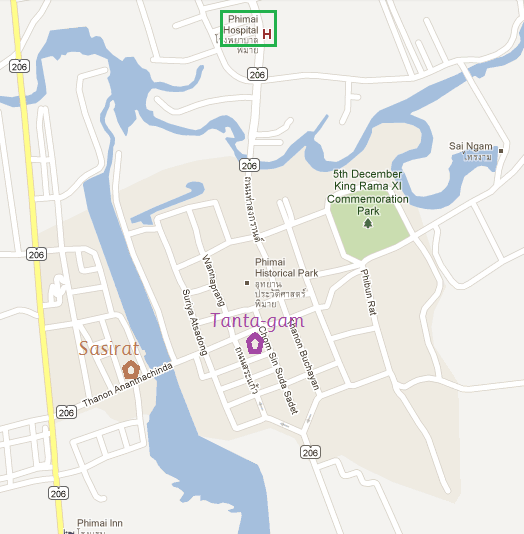 Dentist Sasirat’s Clinic (clinic tanta-pet sasirat) is located on Anantachinda Road. Telephone: 044-481627. It’s open from Monday to Saturday. Picture below. 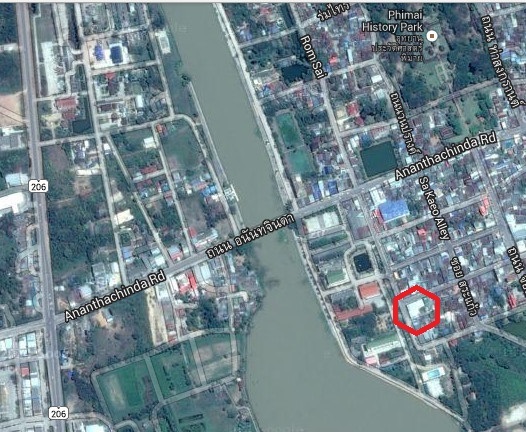 Below is a map showing the locations of the dentists in Phimai town. It may be possible to see a private dentist without an appointment. 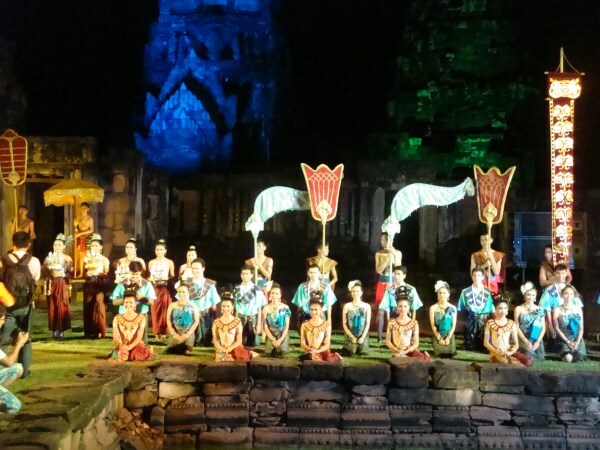 In Phimai, as in some other towns and cities in Thailand, a parade or procession is held which is commonly called a candle festival or candle procession. 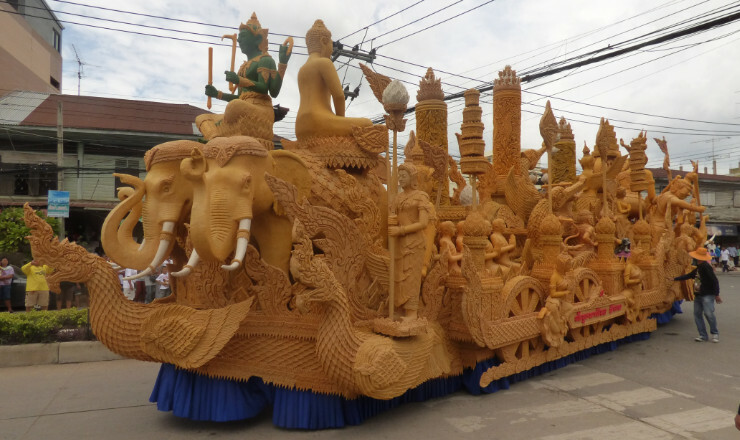 It is a procession or parade of wax decorated floats which have a large candle making up part of the decoration. 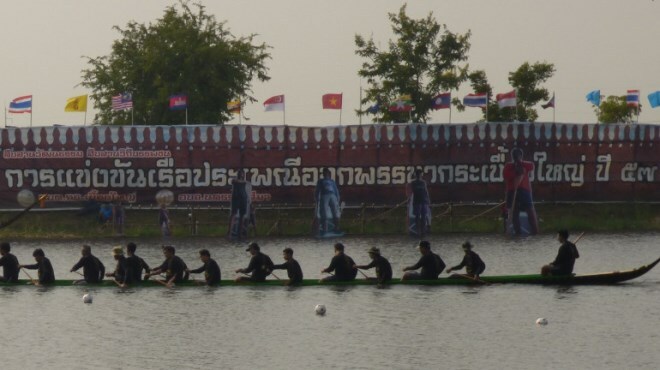 Local temples and people in the local community decorate floats with figures that mostly show Buddhist related themes. 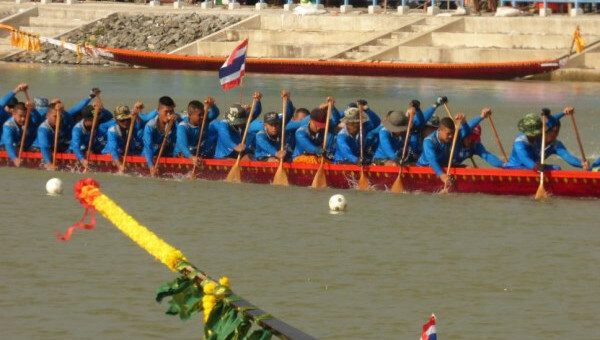 The decorated floats are judged and prizes are given to the winners of each category. 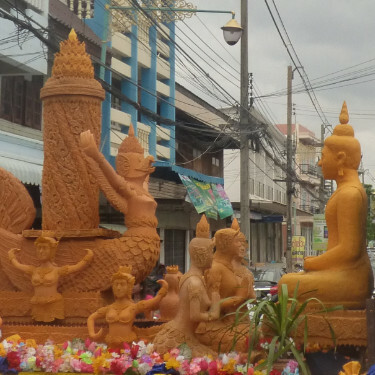 One of this year’s winners was the float from wat burapa-pimon – shown above and below. There are also prizes for groups of people from local communities who dress up and enter the parade either walking or with a float. In the morning, the procession goes around the old part of the town starting and finishing at the Town Clock. Prize winners are announced in the area near the Town Clock, marked in dark red on the map below. 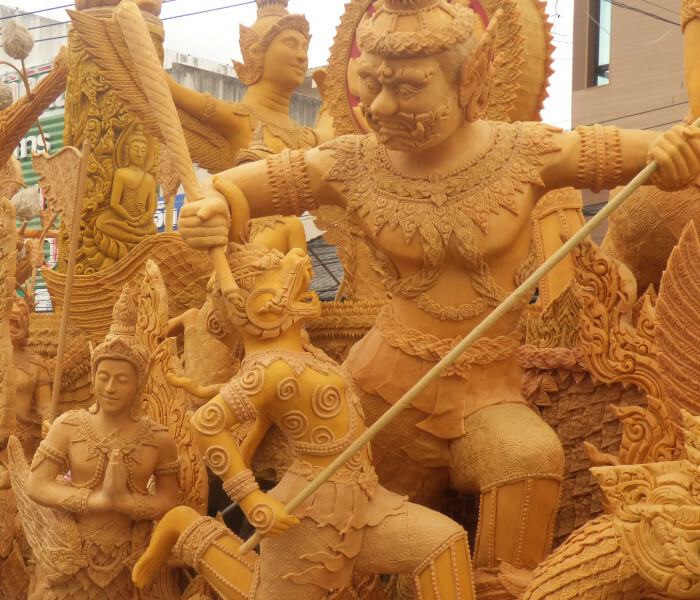 In Korat, the candle procession will take place tomorrow, 12 July in 2014, the start of Buddhist Lent in Thailand. Buddhist Lent in Thailand continues for three months. 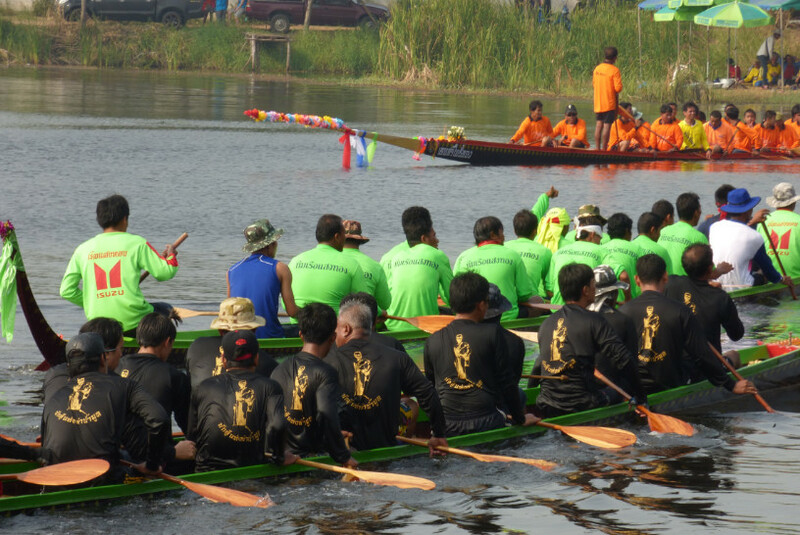 The end of Buddhist Lent (ork pansa – ออกพรรษา) in Thailand in 2014 will be on 8 October. 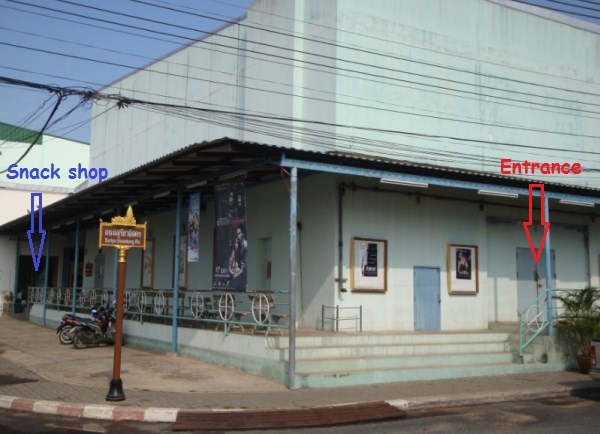 There is a small cinema in Phimai town. 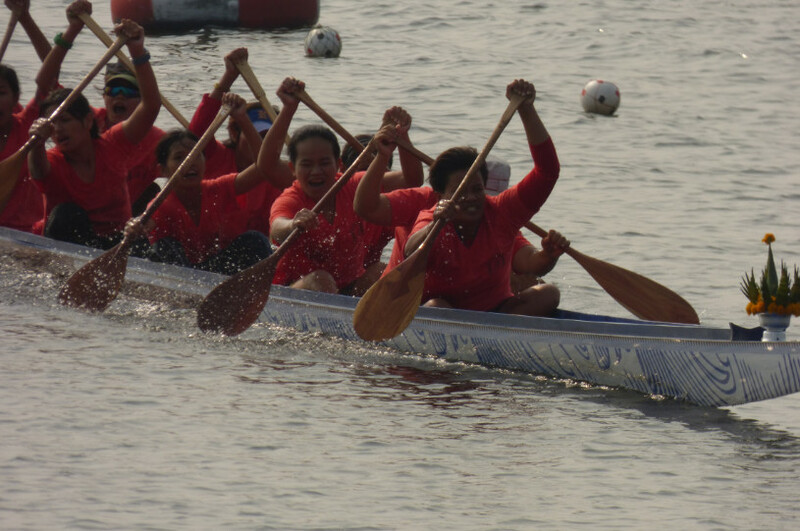 It is located at the junction of Haruethairom Road and Suriya-atsadong Road. The entrance is on Suriya-atsadong Road. The cinema is clean, modern and air conditioned. There is no food for sale inside the cinema but there is a small shop next to the cinema that sells snacks and soft drinks. 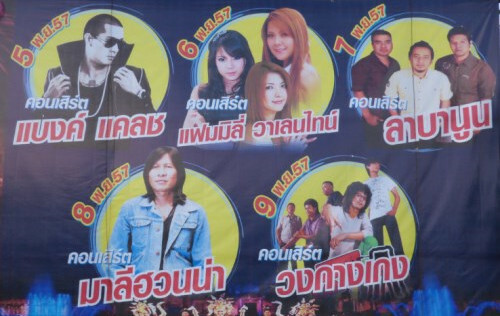 The cost of entrance is 50 baht per person. It is the same price for everyone. There are no concessions – not even for children. Pay your money to the attendant at the door (no tickets will be issued), enter the building and immediately turn right and walk up the short flight of stairs. At the top of the stairs is a door. Enter the door and find a seat. The cinema has seats for approximately 150 people. Movies are shown twice a day with programmes starting at 12.30pm and 7.30pm. As far as I know, the movies shown are all dubbed in Thai. When I went, there were no subtitles. 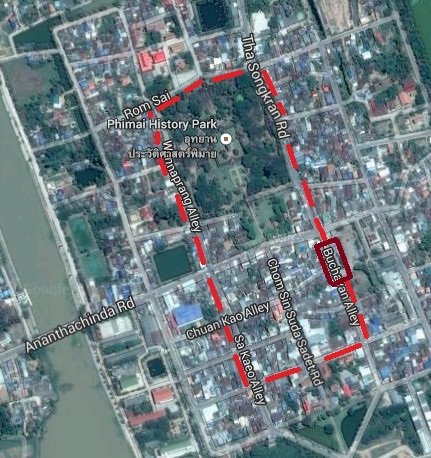 Map showing the location of the cinema in Phimai town, Nakhonratchasima province. Phimai town now has two cinemas. The new cinema, EGV, is located inside the Tesco Lotus supermarket building. It opened on 20th October 2016. Below is a map showing the location of the new EGV cinema.